How to Go About Effective E-mail Marketing Through Web Analytics! Home > Blog > Blog > How to Go About Effective E-mail Marketing Through Web Analytics! Updates would of course come and go with the passes of time but e-mail marketing will remain one of the most effective channels in online marketing. In spite of the fact that e-mail open and response rate is relatively low, e-mails are still found to be valuable for its low cost per contact. However, relevancy of e-mail must be paid attention for it to not impact your company’s brand negatively. Simply e-mailing in large numbers without concerning about its aptness will put your brand at risk and all future mails would also be deleted. It actually happens in your everyday life that once you have sorted out that the e-mail was insignificant the second time you get the mail, you straight away go ahead and delete it. 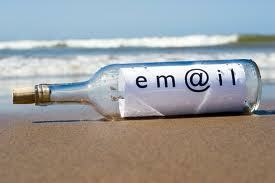 How about if there will be some tools through which you can optimize your e-mail marketing? We have a brilliant tool that we call web analytics, which helps you optimize your e-mail marketing. Unlike the conventional marketing segmentation, it also provides you with the customer behavioral data through which you can develop insights to create applicable e-mails. Let’s take an example that a customer lands to your website, walks through the services page and then exits from there. You can consider sending an e-mail with services comparison information or so to this visitor. Or let’s say if the guest even selects some items in the shopping cart and disposes the procurement process of, you can send this visitor a mail with reasons supporting to buy this product. Let’s take an analysis here for instance that suppose you sent promotional e-mail to 60 people, out of which 22 visited your website and in the end 2 made a purchase. However, if you had the behavioral data of the rest 38 people, you might have guessed the reasons as to why did they abandon the sale process and instead of sending them unnecessary mails, you would have sent across some relevant information. It would have helped your customer with some useful information rather than annoying them. It is never too late to start something constructive. If you have yet not worked on the behavioral data, then start it today and get hold of some useful information about your customers’ behavior and taste. It will help you gain rise in the overall conversion rate for your company.